The official opening was carried out by the Singapore Defence Minister, Lee Boon Yang, on 5 November 1994. 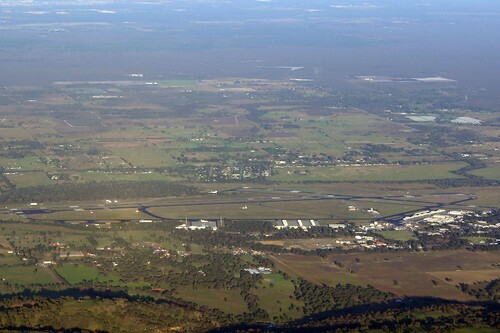 This complex in Pearce have about 160 personnel and can housed 27 aircraft. RSAF has relocated part of its Flying Training School to RAAF Base Pearce in Western Australia and commenced operations there in September 1993. RSAF 130 Squadon Detachment is house in a new building and facilities have been specially constructed. The training area Western Australia is about three times the size of what was available in Singapore coupled together with the excellent all year flying conditions both over the sea and land. At the competition of flying training (BWC) at Pearce the Pilot Trainees will then be evaluated and selected to one of the three tracks – Transport Wing Course (TWC), Helicopter Rotary Wing Course (RWC) or Fighter Wing Course (FWC). I am looking for some terrific weblogs for reading. I found myself browsing over google and bing and discovered yuor web blog. Effectively i like your expert blog style as well as your authoring skills. Carry on doing it.